Hamza KH, Rich KM, Baker AD and Hendrickx S. 2014. 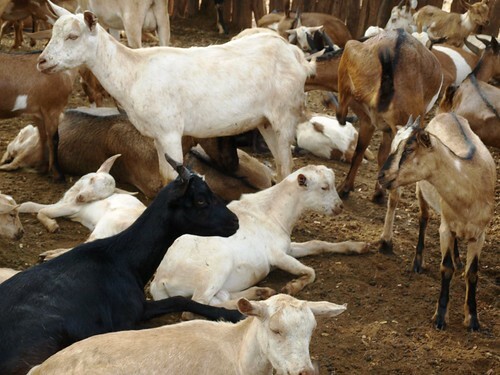 Commercializing smallholder value chains for goats in Mozambique: A system dynamics approach. Proceedings in Food System Dynamics 0(0): 117-134. Swaans K, Boogaard B, Bendapudi R, Taye H, Hendrickx S and Klerkx L. 2014. Operationalizing inclusive innovation: Lessons from innovation platforms in livestock value chains in India and Mozambique. Innovation and Development 4(2):239-257.